Retirement is supposed to be the time when you kick back, relax, and enjoy life. Yet retired life isn't entirely worry-free; certain financial issues afflict nearly all retirees. Here are some of the money hassles you're most likely to encounter during your golden years. If you are alive and have money, the federal government wants to collect its share – and it doesn't care if you're retired. 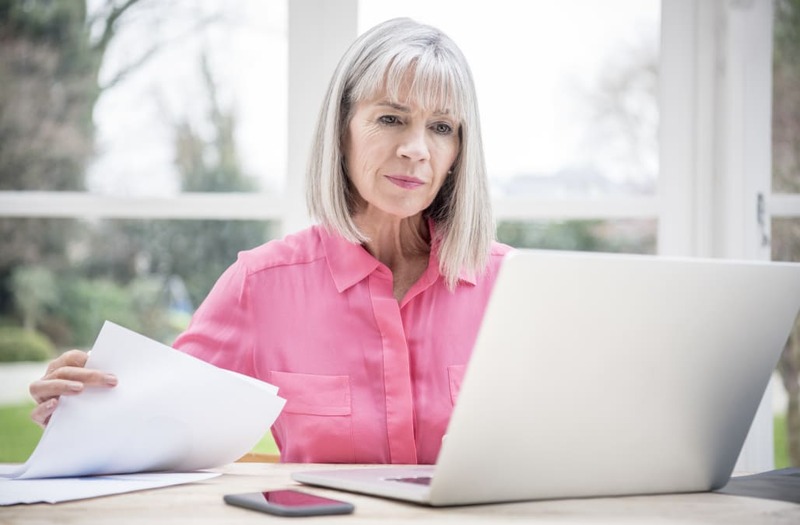 In fact, income taxes tend to get more complicated in retirement because you no longer have an employer to take care of withholding the appropriate amount from your paycheck. Retirees will usually have to pay estimated quarterly taxes to make up for the lack of withholding. Tax returns also tend to get more complicated thanks to issues like capital gains from selling investments, taxes on money withdrawn from IRA and 401(k) accounts, and required minimum distributions. A good tax professional with experience in such matters can be invaluable for retirees. Such a professional will probably save you more on your tax bill then he'll cost you in fees. Retirement savings generally make up a large chunk of a retiree's income, and most, if not all, of this money is commonly invested in stocks and bonds. But that means that when a retiree wants to pull money out of those accounts, he or she has to decide which investments to cash out to meet income needs. Retirees must also make the typical day-to-day decisions that every investor must face: This company is in financial trouble, should I sell its stock? My bond has matured, what should I do with the principal now? Am I better off buying inflation-protected bonds or regular bonds? Should I reinvest the dividends from my stocks, use them for other investments, or draw them as income? If these decisions become burdensome, consider hiring a financial planner to manage your portfolio for you. At least once a year, most retirees need to pull money from their retirement and/or non-retirement accounts for income. A retiree with multiple types of accounts has to decide how to split the necessary distribution between those accounts. And once an individual hits age 70 1/2, the IRS complicates matters further by requiring minimum distributions to be taken from tax-deferred retirement accounts (which includes traditional IRAs and 401(k)s). When planning distributions, the first priority is making the required minimum distribution (RMD) – otherwise, you'll face a ghastly 50% tax penalty on any amount you fail to take. Your tax situation will generally dictate the best distribution approach, but as a rule of thumb, leave any Roth accounts untouched for as long as possible. Allowing that money to grow tax-free means you'll get a bigger payoff when you finally do start tapping into it. Medicare is unquestionably a blessing for retirees, who would have a difficult time indeed trying to find and pay for private health insurance. However, the program's many complexities create numerous headaches for retirees trying to navigate those troubled waters. The most important Medicare decisions are the ones you make right at the beginning: whether to adopt original Medicare or a Medicare Advantage plan; whether or not to get a Medigap plan, if applicable; whether to choose a cheap plan that provides a lower level of coverage or an expensive plan that's more generous; whether to get a Part D policy for prescription drug coverage; and so on. Many of these decisions are irrevocable, so don't try to hurry through the Medicare setup process. Take your time, do lots of research, and be sure that every decision you make is an informed one. Doing a little extra work early on will save you endless headaches later.